Free mp3's, Chord Charts and Lyrics pdf's downloads. 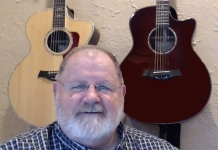 I am a singer/songwriter and worship leader with a love for Jesus, family, music and the outdoors. It is my desire that Christ will be glorified, and you encouraged by truth of the Scriptures that were the motivation for the music. These songs along with the Lyrics and Chord PDF files are free to download and share with your friends. I would appreciate your feedback.